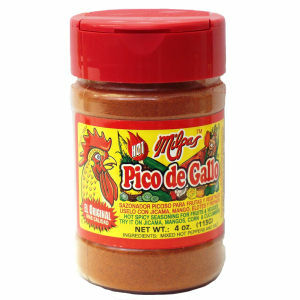 Milpas Sazon Pico de Gallo offers the original blend of specially selected ground hot chile peppers with a touch of salt. Pico de Gallo is used throughout Mexico to spice up fruit salads and other dishes. Sprinkle Milpas Sazon Pico de Gallo on cucumber, mango, papaya, watermelon, jicama, and corn on the cob. A very popular summer treat. Try Milpas Sazon Pico de Gallo on your favorite fruit.